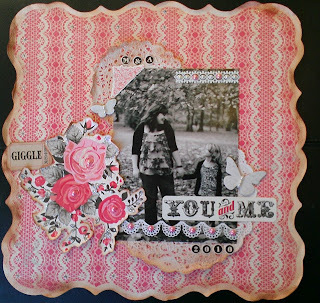 Magical Messes: An ode to "fussy cutting"
Let's be honest about something: I am cheap. Even if I were incredibly wealthy, I still think I would have a hard time shelling out $4 or $5 for a teeny-tiny package of embellishments. I can't do it! Many I could make myself if I just took the time. 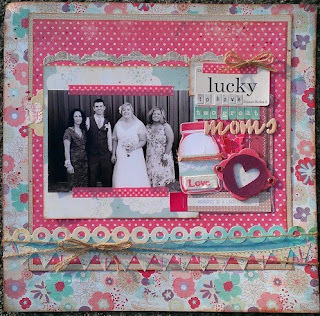 Enter one of my favorite scrapbooking techniques--fussy cutting. Fussy cutting, or detail cutting as I like to call it, is a super great way to utilize a patterned paper with a large print. 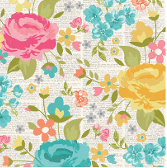 For example, I am in LOVE with this gorgeous sheet from Simple Stories Vintage Bliss. I love the colors, the design, the text background, everything! When it arrived in the mail, I just kept staring at it. It's so beautiful! The print, while beautiful, is not very versatile. It's difficult to use something that large as a base, and the beautiful design might be lost if you cut it into pieces. Wanting to preserve the beautiful flowers, I grabbed my trusty Tim Holtz scissors, sat in front of the TV, and cut away. There are multiple techniques for detail cutting. Many people use an X-acto knife and cutting mat. While it arguably gives the nicest cuts, I'm too impatient for that. It also isn't as easy to do in front of the TV. Another option is to use small detail scissors. I just use regular-sized Tim Holtz scissors; I like that I can fit all my fingers in the loop. It requires me to leave a little more paper on my pieces, but I'm okay with that. Had I been using a knife or detail scissors, I might have been able to get that small piece in the yellow rose that I didn't cut out (next to the pink flower). 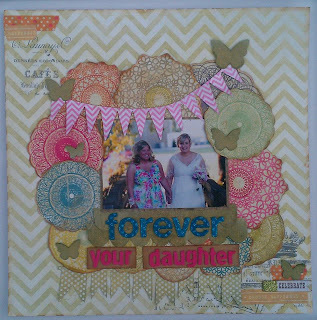 It's a good thing scrapbooking isn't about perfection! 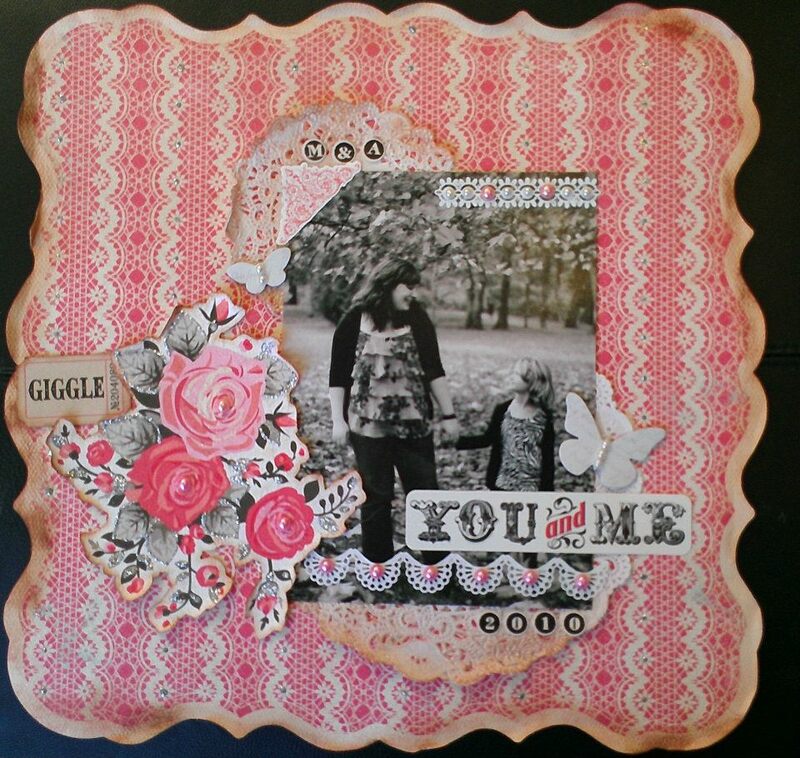 Here are a few more examples where I hand-cut elements from patterned paper. What are some of your favorite money saving techniques? this is a great money saving tip, I like to use foam squares with my fussy cut images. I'm just not patient enough to do this, but I love how it looks! gorgeous detail cutting! I don't have the patience for it, myself, so I never think to use large-patterned papers like that. I should really take a second look at them, now! Beautiful layouts! I just fussy cut a TV set out of a Jillibean Soup paper from their Macho Nacho collection to use on a LO. My money saving tip: keep an eye out for cool product packaging! I've made embellishments (journaling cards and punched shapes, mostly) out of the packaging from Prima, October Afternoon, and Imaginesce products.